1.If the expenditure of company 1 in 2010 was Rs. 400 crores, what was its income? 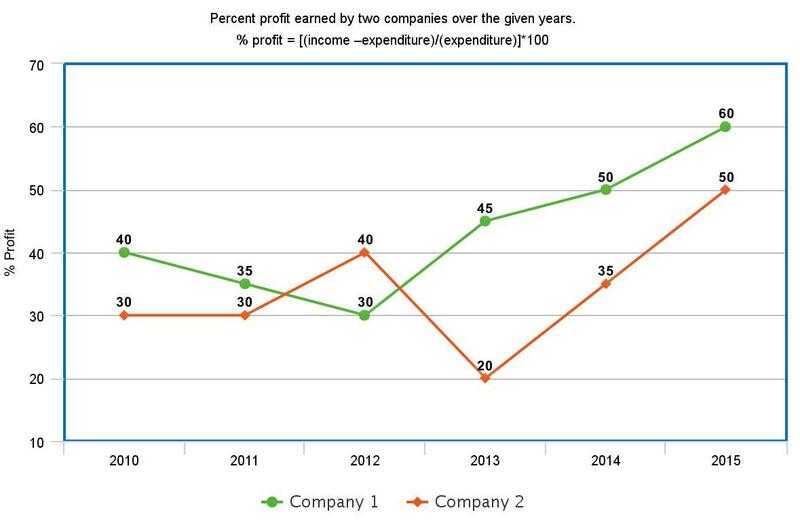 2.If the income of company 2 in 2014 was Rs. 300 crores, what was its expenditure? 3.If the incomes of two companies are equal in 2011, what was the ratio of their expenditures? 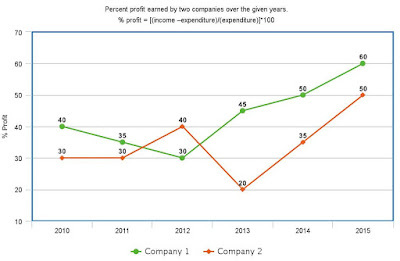 4.What is the percent increase in the percent profit for company 2 from year 2010 to 2012? 5.If the expenditure of both the companies are equal in 2015, find the ratio of their income?